The third article of Wings of Glory WW2 airplane packs’ preview series (following the Curtiss P-40 Warhawk and the Yakovlev Yak-1), presents the Kawasaki Ki-61 Hien (“Hien” = Swallow), a Japanese fighter aircraft used by the Imperial Japanese Army Air Force. Over 2.500 Ki-61s were produced, first seeing action around New Guinea in 1943, and continuing to fly combat missions throughout the war. A clean, streamlined fast and maneuverable aircraft, the Ki-61 was the only liquid-cooled fighter to enter service with the Japanese air arms during World War II, and was also the first to use armor and self-sealing fuel tanks – due to that, even carrying a great deal of fuel, the Hien don’t have the reputation for being "easily flammable", as other Japanese aircrafts. The Ki-61 was initially developed under the guidance of a German engineer and was powered by the Daimler-Benz DB 601A in-line piston engine, the same fitted to the Messerschmitt, produced in Japan under license with the name Kawasaki Ha-40. The fighter Ki-61 Hien looked very different compared to the usual radial-engined Japanese fighters and the Allies first believed it to be of German or Italian origin. Many Americans in the Pacific reported they had come up against Japanese pilots flying the Messerschmitt Bf.109, which was never flied by Japan operationally. Other reports claimed the aircraft was an Italian design, and that’s why the fighter was called “Tony” by the Allies. The Ki-61 Hien entered service with a special training unit, the 23rd Chutai, and entered combat for first time during the New Guinea campaign. The first Sentai (Air Group/Wing) fully equipped with the Hien was the 68th in Wewak, followed by the 78th Sentai stationed at Rabaul. Both units were sent into a difficult theatre where jungles and adverse weather conditions, coupled with a lack of spares, quickly undermined the efficiency of both men and machines. The Ki-61 was also used in Southeast Asia, Okinawa, China and as an interceptor during US bombing raids over Japanese home islands, including against Boeing B-29 Superfortresses. The Ki-61s were capable of matching Allied aircrafts such as the P-40 in speed, and as evaluation had already showed, were superior in almost every respect. The armament of the early Hien was lighter, but still sufficient for most purposes. The Ki-61's performance and agility suffered when its armament was increased, but it still remained capable with a 580 km/h (313 km) maximum speed. The cannon armament was needed to counter the Allied bombers, which proved to be difficult to shoot down with only 12.7 mm (.50 in) machine guns. A number of Ki-61s were also used in Tokkotai (kamikaze) missions, launched toward the end of the war. The tactic of using aircraft to ram American Boeing B-29 “Superfortresses” was first recorded in late August 1944, when B-29s from Chinese airfields attempted to bomb the steel factories at Yawata. Sergeant Shigeo Nobe of the 4th Sentai intentionally flew his Kawasaki Ki-45 into a B-29; debris from the explosion severely damaged another B-29, which also went down. Other attacks of this nature followed, as a result of which individual pilots determined it was a practicable way of destroying B-29s. On 7 November 1944, the officer commanding the 10th Hiko Shidan (Air Division) made ramming attacks a matter of policy by forming ramming attack flights specifically to oppose the B-29s at high altitude. 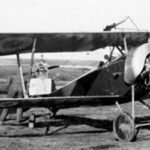 The aircraft were stripped of their fuselage armament and protective systems in order to attain the required altitudes. Although the term "kamikaze" is often used to refer to the pilots undertaking these attacks, the word was not used by the Japanese military. Tokyo, 1945: Captain Chuichi Ichikawa teaching how to destroy a B-29 bomber. By the end of World War II there were 13 Sentais that were equipped with the Ki-61. The two miniatures of this fighter featured in the Wings of Glory WW2 airplane packs were piloted by two B-29s’ hunters: Daii Chuichi Ichikawa and Jotohei Matsumi Nakano, both of the 244th Sentai. The Captain Chuichi Ichikawa, born in Tokyo in 1918, became one of the great Superfortress killers in the final months of the war, as he shot down nine B-29. 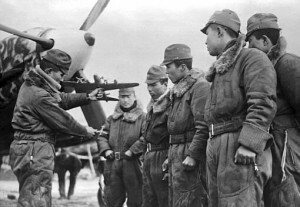 At 18 years old he entered in the Kumagaya Army Flight School. Graduated on 1937, he joined the 9th Sentai in Manchuria. On 1941, he was assigned to the Air Inspection Division, testing new aircrafts, and one year later entered the Army Flight Academy. On June 1943, upon the graduation, Ichikawa was assigned to the 78th Sentai, and soon after his arrival the unit was shipped out to New Guinea, the theatre which earned the nickname “Graveyard of Army Fighter Pilots”. There he had several months of constant action, until his fighter was set alight during aerial combat. He managed to survive but was seriously burned. After a time of recovery, he turned back and was assigned to the 244th Sentai. At the 244th Sentai, Ichikawa quickly made a name for himself in the home defense role, fighting with remarkable skill. On April 1954 he shot down two B-29s and damaged another, in a ramming attack with your Ki-100. He received the A Class award Bukosho for this action. On June he was promoted to Captain and by the end of war he scored nine B-29s shot down and six damaged, plus a Hellcat fighter destroyed. He was killed in 1954, in an air crash, while working as a private pilot. The Ichikawa’s aircraft featured in the airplane pack is a Kawasaki Ki-61-I KAId, variant that had a pair of 30 mm cannons in nose to help it shoot down bombers. Matsumi Nakano and his plane on display after the rumming atack that shot down a B-29 bomber on December 1944. The jotohei (senior private) Matsumi Nakano was another of the just five Japanese aces awarded with the Bukosho. Due to his ramming actions he was one of the even rarest pilots that received this award twice. The first of these actions was performed on 3 December 1944, when Nakano attacked a formation of 12 B-29s over Tokyo. After some attempts not successful in other ways, he downed one of the bombers by ramming it and scything part of its vertical stabilizer with the helix of his own aircraft. Nakano crash-landed in a rice paddy in Ibaraki prefecture. A few days after, his plane was put on display outside the big stores of Matsuya, together with a reproduction in real scale and some scraps of the bomber that was shot down. The other ramming attack that gave to Nakano the second Bukosho was done in January 1945. His total score at the war was three B-29s shot down, one damaged, and two F6Fs shot down. 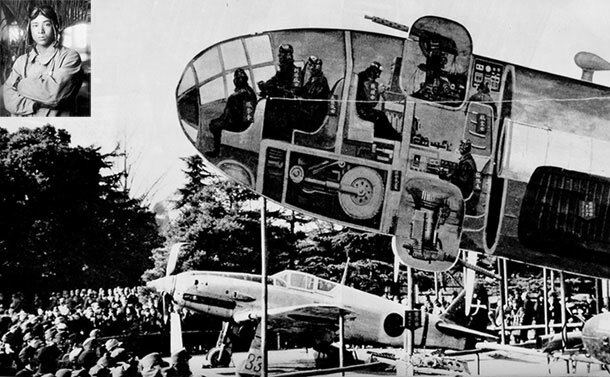 The Nakano’s plane featured in the airplane pack is a Ki-61-Ib, a variant with machine guns in nose, which had cannons in wings added later. Information sources: AircraftAces.com, WWII Vehicles.com, Wikipedia, Mark’s Index Japanese Aviation , e-books Japanese Army Air Force Aces 1937-45 (Henry Sakaida) and B-29 Hunters of the JAAF” (Henry Sakaida,Kōji Takaki).